Seven men will be contesting the seat left vacant when Opposition Leader Hon. Reuben T. Meade resigned last October 2016. Nomination Day was held on Tuesday, January 19th at the St Patrick’s Credit Union Hall in Brades. 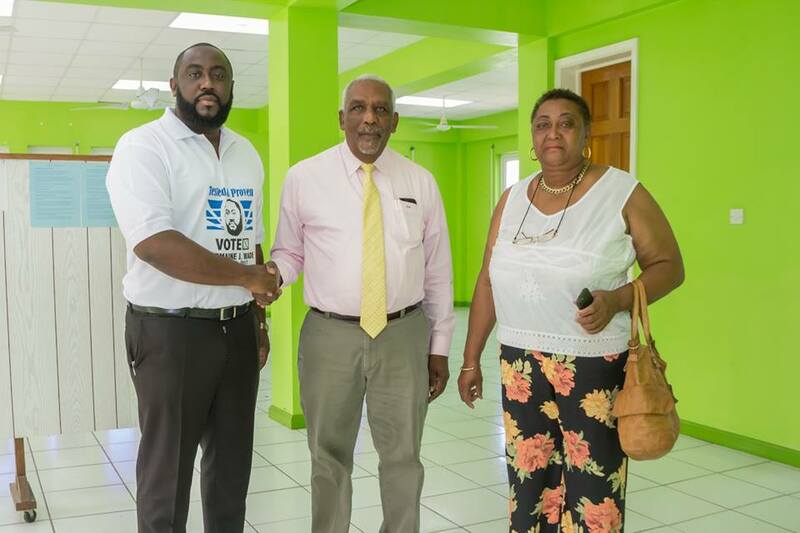 Successfully completing the nomination process as independent candidates are calypsonian Keithroy Morson, former Opposition member Victor James Sr, former Parliamentary Secretary Jermaine Wade, Charlesworth Phillip, and Winston Ponde. Contesting the seat for the People’s Democratic Movement (PDM) will be Emile Duberry, while Dr Samuel Joseph has the support of the Movement for Change and Prosperity (MCAP). Dr Samuel Joseph said he saw two main roles of being in the Opposition seat, which are to keep government accountable to explain what is happening and to use his skills to contribute to moving the country forward. Joseph said he will also continue to speak to the people with special focus on youth development to ensure their voice is heard by the government. Emile Duberry for People’s Democratic Movement (PDM) told ZJB his special emphasis will be on community development. He also plans to continue “to put full support behind” Hon. Premier Donaldson Romeo and pushing government to get a breakwater at the harbour, salary increase for the civil servants and a new hospital. The by-election will be held on Monday, January 30, 2017. This is the first time since the 1970s that a by-election is taking place.